Ever since Jay-Z's now famous song 99 Problems was released, people have been wondering about what could possibly be bothering this rap mogul. Apparently artist Ali Graham has been solving these mysteries by releasing possible things that may be irking Jay-Z on his tumblr. 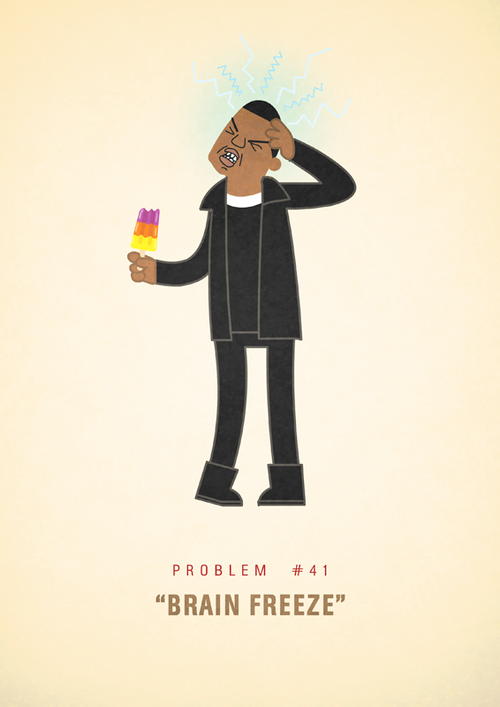 Our favourite so far is the brain freeze one we are showing here and look forward to the many he has yet to release.